Geoff Johns is a busy man. The DC Entertainment President and Chief Creative Officer is about to see Wonder Woman across the theatrical release finish line, having co-written the script, and has now Tweeted an indication that he’s working on the script for Titans – the live-action series of the comic book Teen Titans. The journey of the project has been long and tortuous, but with seemingly firm plans finally in place, this social media snippet could well be the sign that progress is being made. Teen Titans first featured in the comic books in The Brave And The Bold #60 in 1965 as a group of teenage superheroes learning about the responsibilities of early adulthood. The series underwent many changes of roster over its years of publication, and Geoff Johns re-launched the title in 2003, beginning a multi-year tenure on the title. His Teen Titans comic book roster included Robin, Superboy, Wonder Girl, Impulse, Starfire, Cyborg and Beast Boy. While it’s not officially confirmed that this will be the roster on the upcoming live-action show, it’s a picture of these characters that he included with his Tweet. Titans was originally being developed at TNT and had been ordered to pilot. However, after reported concern that the market was oversaturated with superhero adaptations, TNT abandoned their plans for their live-action comic book show. 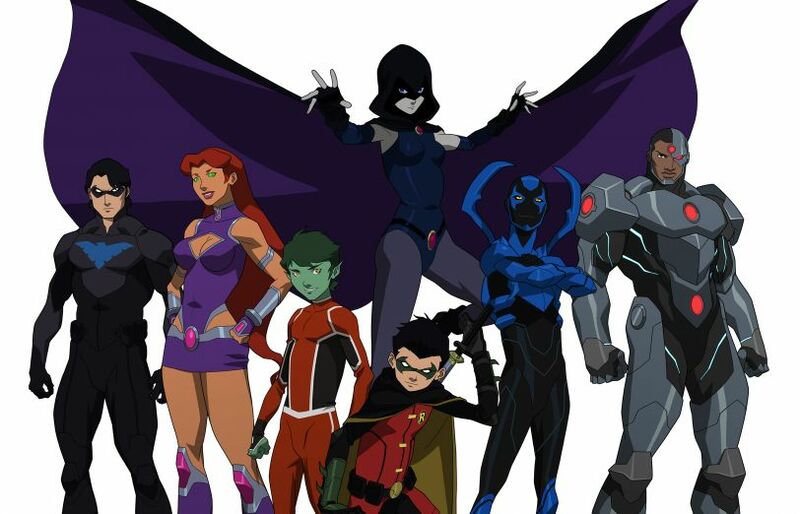 Undeterred, DC have re-focused their small screen strategy to include the launch of a new streaming service, and Titans will now form part of that debut in 2018, along with Young Justice: Outsiders – the third season of the popular show, Young Justice. Titans will arrive under the stewardship of Arrowverse architects Greg Berlanti and Sarah Schechter, Academy Award winner Akiva Goldsman, and Geoff Johns. Now that we have confirmation that DC expert Johns is getting to work on the script right now, anticipation for this show will undoubtedly hit an all-time high.